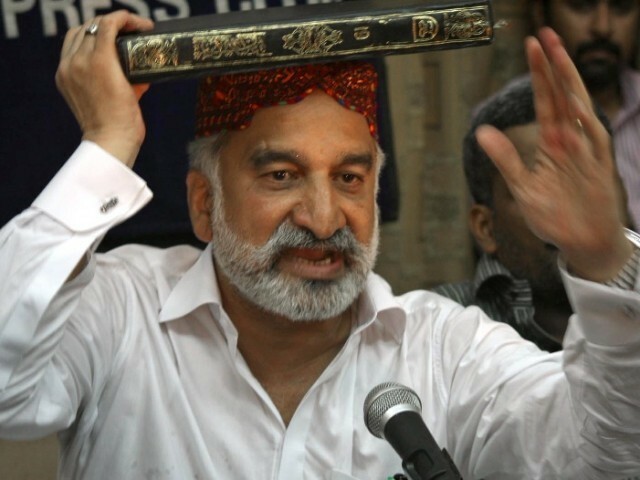 Following this highly emotion-charged press conference which was carried live by almost all of the mainstream TV channels, Mirza has been hailed as a hero by some of the most popular TV talking heads for railing against MQM's top leadership, and for singling out Pakistan Peoples Party leader and Federal Home Minister Rehman Malik for his harshest accusations. 1. What triggered the latest of Mirza's outbursts? Was it Malik's decision to send the Rangers in to the Lyari neighborhood of Karachi? 2. When Mirza used a copy of the Holy Quran in the month of Ramadan to convey his sincerity, did he really tell the whole truth? or did he leave out the ugly truths about the horrific crimes committed by Karachi's armed gangs controlled by him and his ANP political allies? The answer to both of the above questions can be found in the fact that Mirza's press conference occurred soon after he learned about the Pakistan Rangers' operation to clean out gang-infested Lyari. This operation was authorized by Rehman Malik over the objections of Mirza and without Mirza's prior knowledge to prevent him tipping off his gangster allies in Lyari. During the Lyari operation, the Rangers discovered the horror chambers that were used to torture and kill people in recent weeks. The badly mutilated bodies of these torture victims were stuffed in bags and dumped in various parts of the city to create widespread fear. The perpetrators were none other than Mirza's allies who falsely labeled their gangs as "People's Amn (Peace) Committee" or PAC. The Rangers also arrested 133 suspects and seized automatic weapons and ammunition that were concealed in a ditch inside a house. They also found rockets, grenades, nine sub-machine guns and hundreds of bullet rounds once they dug out the makeshift arsenal, according to the Express Tribune newspaper report. The torture cells were found in the Nayyabad area of Lyari. One was underground while the other was on the first floor. Both were outfitted with chains, chairs, tape for gagging victims, ropes, and power tools to dismember bodies. Jackets, sacks and documents were strewn on the floor along with the uniform an indicating the identity of the victims as members of the MQM's Khimat-e-Khalq Foundation. The TV news-anchors, talk-show hosts, and the print media reporters must not give Zulfikar Mirza a free pass when he tells the truth only selectively to hide his own misdeeds and the crimes of his political allies in patronizing criminal gangs. Nor should other politicians be spared the tough questions about their culpability in destroying Karachi's peace, and for seriously undermining Pakistan's economy. Pakistan's media must play their crucial role in exposing the growing nexus between crime and politics in Karachi, and the rest of Pakistan. We must not forget that sunlight is the best disinfectant. Mirza has told about the tipping point in capital talk that he came out open when rehman malik decided to take killer caught in chakra goth incident on some pretext to islamabad the to free them there. he has admitted about gangs in ANP n PPP and said it clearly those were made to defend themselves against MQM terror. He has given details of all the arms that MQM got during mush period through shipping minister. Americans have built one of the largest consulates in the world in Karachi and have repeatedly used British diplomats to pressure MQM - one of the largest stakeholders in Karachi - to maintain peace in the city. According to one source, the ANP has huge stakes in NATO supplies and has strong influence among Karachi's transporters. In Karachi, there are many third-tier sub-contractors working for NATO, most of them of Pashtun and Mehsud origin. They get contracts from second-tier sub-contractors from Dubai, who the contracts have been outsourced to from contractors in Washington, DC. One such sub-contractor, Abdul Hakim Mehsud said, "Its one of the toughest jobs in the world - recently over 13 of my trucks and three of my drivers had been vanished in interior Sindh. But the profit margins are high and that keeps me motivated." "In December 2008, militants destroyed 400 containers carrying food, fuel, and military vehicles," a NATO source said. After that, NATO and ISAF began paying tribes to ensure supplies get across safe. Karachi's ethnic riots, political instability, and sectarianism have earned it the reputation of being the world's most dangerous city. In the last four years, over 5,000 people have been killed in politically-motivated violence. Not very long ago, it hosted Al Qaeda's operational headquarters. It is still considered by many as a Taliban stronghold. In Karachi's chemical markets, ammonium nitrate is produced by fertiliser companies. While the chemical is on the Pakistani customs control list, it is widely available in open market. This ammonium nitrate is used in improvised explosive devices that account for 66 percent of foreign casualties in Afghanistan since the war started in 2001. The makeshift bombs have claimed 368 troops in 2010. This year, the number has already reached 143. "We can deliver you big quantities of the chemical at the right price," said Ahmed Jan, a local smuggler, one of the few willing to speak on the record. "For a higher price we can deliver you the items in Afghanistan." The US Consulate and Pakistani customs intelligence have been working closely to stop the smuggling. Earlier this year, the National Assembly's Standing Committee on Commerce was informed that more than 6,000 trucks of NATO/ISAF supplies had not reached in Chaman and Iman Garh borders. The disclosure sparked an internal auditing within NLC and FBR and corruption of Rs7 billion was found. The FBR and NLC had reportedly issued notices to 21 and 22 grade officers and had put 100 of its officers and clearing/forwarding agents in the Exit Control List. The attacks are not likely to stop any time soon, according to a foreign diplomat, "But we have made pacts with warlords, tribes and various stakeholders in Pakistan who ensure safe transit of the goods. They include political parties both in Pakistan and Afghanistan." few of the groups are traditional criminal gangs. Most are associated with a political party, a social movement, or terrorist activity, and their presence in the volatile ethnic mix of the world,s fourth largest city creates enormous political and governance challenges. 7. (S) If rhetoric of the police and the ANP leadership is to be believed, these armed elements may be preparing to challenge MQM control of Karachi. In March, the Karachi Police Special Branch submitted a report to the Inspector General of Police in which it mentioned the presence of \"hard-line\" Pashtuns in the Sohrab Goth neighborhood. Sohrab Goth is located in the Northeast of the city. As pupils gathered early on Saturday to receive exam results, grenades were hurled into the Baldia town school in Karachi, causing carnage. Principal Abdur Rasheed died on the spot. The perpetrators are thought to be from TPP, a Taliban terrorist sect, as their campaign of violence against girls education moves from the tribal areas into Pakistan's largest city. The latest attack follows the murder earlier this week in the Khyber tribal district of Shahnaz Nazli, a 41-year-old teacher gunned down in front of one of her children only 200 meters from the all-girls school where she taught. But this time the wave of terror attacks – orchestrated by opponents of girls' education – is provoking a domestic and international response, a groundswell of public revulsion similar to that which followed the attempted assassination of Malala Yousefvai, who was also shot simply for wanting girls to go to school. Today, on top of a a petition now circulating on www.educationenvoy.org calling for a cessation of violence against teachers who are defending the right of girls to go to school, a scholarship fund in honor of the slain Shahnaz Nazli is being announced. Education International, the world teachers organization with 30 million members, has said that the scholarship memorial to Shahnaz will support Pakistan teachers and students victimized simply because of their support for girls' schooling. The petition and the memorial signal a fight back against attempts to ban girls’ education, and come in the wake of the intervention of UN Secretary General Ban Ki-moon, who, in a special communique, has spoken out against the shooting of Shahnaz and given his personal support to teachers persecuted for their advocacy of girls’ education. This week's attacks are, however, a stark reminder to the world of the persistence of threats, intimidation, shootings, arson attacks and sometimes even murder that are the Taliban’s weapons in a war against girls’ opportunity. Last October, shocked by the attempted assassination of Malala Yousafzai and pressured by a petition signed by three million people, the Pakistani government agreed for the first time to legislate compulsory free education and provided stipends for three million children. Now authorities in Pakistan are under international pressure to deploy their security services to ensure the safety and protection of teachers and girls trying to go to school. But as the forthcoming teachers’ initiative and the the UN Secretary General’s vocal support both demonstrate, the voices in favor of these basic rights for girls cannot any longer be silenced. And because this is a movement that is now being forged at the grassroots by girls demanding their human rights and by teachers organizing in support of them, 2013, which has started with so many violent attacks on girls schools, can still become the year when the cause of universal girls education becomes unstoppable. represents MQM,s rival ethnic Pashtuns. as many as twenty-five thousand armed fighters in reserve. 6. (S) The ANP represents the ethnic Pashtuns in Karachi. Goth is located in the Northeast of the city. Karachi, especially among the Sindhi and Baloch populations. ISLAMABAD, Feb 20: Political violence, ethnic divide and militant organisations being patronised by political parties is turning Karachi into the new Beirut, according to a visiting French political scientist. Laurent Gayer, a French political scientist, who is writing a book “Karachi: Ordered Disorder and the Struggle for the City,” that will be published by Hurst and Oxford University Press this year, made these observations during a lecture here on Wednesday. He said though the metropolitan city was facing multiple menaces in the form of lawlessness, targeted killings, sectarian strife for quite some time, de-regularisation of Bhatta mafias within political parties and entry of new competitors in the arena had made the life of the city’s industrial community simply hellish. Quoting his interviews with some people belonging to the business community of Karachi, Mr Gayer said although they had been paying protection money for the last two decades, coercion for money from more than half a dozen entities had become simply unbearable. Many of them (businessmen) are planning to shift their business either to Middle Eastern countries or Bangladesh, the researcher quoted them as saying. In his findings, the researcher also likened Karachi with Mumbai in terms of social leadership, where local political parties had their fully armed militant wings. But the nature of violence increased with the influx of arms from the Afghan war, he said. Karachi city at the moment was awash with the most modern weaponry, which political parties across the board were using against each other, said the writer. According to the French political scientist, violence in Karachi was not existential but instrumental. Mr Gayer said the proliferation of political armed groups started in 2007, linking it with the involvement of Awami National Party (ANP) and Aman Committees of the PPP. “The way how violence is transforming is very difficult for people to handle. Weapons are used indiscriminately in which civilians lose their lives, the last few years saw extremely important transformation of violence,” he remarked. Karachi’s situation, he said, had become more violent after the involvement of Sunni Tehrik and Sipah-i-Sahaba Pakistan (SSP), which besides fighting for its own turf, were also pitched against each other. The MQM, which was initially more focused against the ANP, was now facing a new challenge in the form of Taliban — found in various pockets of the city, said the writer. The Taliban, according to the author had been using the city, not only for generation of money through kidnapping for ransom but also for recuperation of its injured and tired members. Analysing the changing demography of the city, the French political scientist argued that the Sindhi population was increasing and the Urdu speaking community were no more in the majority. “The pre-violence history of Karachi shows that clustering of Karachi happened after shifting of people from mixed areas but groupings started on the basis of ethnic, linguistic and sectarian basis. Hegemony of MQM is increasingly under threat which it is wrongly trying to project as Talibanisation of the city” he underlined. During the question-answer session, Mr Gayer said that since the government machinery was directly involved in extortion, killings and other criminal acts, there was absolutely no chance of any improvement in governance of the city in the near future. Mr Gayer has also collaborated with Mr Christophe Jaffrelot in two books, which include “Armed Militias of South Asia: Fundamentalists, Maoists, and Separatists” and “Muslims in Indian Cities: Trajectories of Marginalisation,” both published by Hurst/Columbia University Press.. CIVILIANS armed with rocket-propelled grenades and AK-47s firing at police in armoured personnel carriers are not images associated with the urban hearts of commercial capitals. But Karachi is no ordinary city. Earlier this month its crime-infested quarter of Lyari, a sprawling network of alleyways housing 1m people, saw battles that pitted police against a powerful local gang. In one scene locals flattened a carrier's tyres with gunfire. Then they kept firing at the stationary vehicle, killing an officer inside. The 31 people who were killed, in addition to five policemen, were mainly innocents caught in the crossfire and included a seven-year-old. For a week residents were besieged. They had little access to food, water or power, as shops shut down and the battle had damaged infrastructure. Then a defeated government called the operation off. The police promised to return after 48 hours, but never showed up again. A senior police official was close to tears when he explained that the gangsters wielded weapons that law-enforcers did not know they possessed. The Lyari violence highlights the complicated relationship between crime and politics in Karachi. Political parties are organised along ethnic or sectarian lines, and represent the city's Urdu-speakers, Sindhis, Baloch, Pashtuns and Barelvi Sunnis. In turf wars over neighbourhoods, they attack each other's activists and ordinary folk alike. (This week indiscriminate firing on a Sindhi rally killed 11 people.) When deaths exceed a handful a day, the commercial capital grinds to a halt. It is this violence, rather than Islamist extremism, that holds Karachi hostage. Karachi politics plays out at the expense of civilian lives. It did not hurt that the police operation would have pleased the Muttahida Qaumi Movement (MQM), a coalition partner, at a time when opposition parties are campaigning for the resignation of the prime minister, Yousaf Raza Gilani. The MQM (also involved in extortion in Karachi) complained that the government was targeting its people while letting the PAC get away with crime. But perhaps what makes the Lyari operation typical of Karachi was how, just as it was escalating into a policing and humanitarian disaster, it suddenly came to a halt. Since then the PAC has not retaliated. Perhaps some unpublicised bargain has been struck. If so, that would be in line with the usual pattern of violence in the city. Karachi manages to hold together because bouts of brutal, though contained, violence are interspersed with dealmaking and calm. Imran Ayub, a journalist on the Karachi beat, thinks the PAC and the government will strike a bargain that preserves the PPP's Lyari constituency despite this disastrous operation. “This was no final showdown”, he says. In the context of Karachi's violence, it is sobering to think what a final showdown would look like. Take a look at this video showing Altaf Husain threatening to put a journalist in a "bori" (body bag). Among the more 200,000 Pakistanis living in London is Altaf Hussain, leader of the Muttahida Qaumi Movement. This powerful political party is widely thought to be behind the murder of reporter Wali Khan Babar, a rising star at Geo TV who was shot dead in Karachi in 2011. His coverage focused on politically sensitive topics such as extortion, targeted killings, electricity thefts, land-grabbing, and riots. Police arrested several suspects affiliated with the MQM, but the investigation into Babar's death fell apart when five people connected to the investigation--witnesses and law enforcement officials--were systematically murdered, one by one. The two original prosecutors were threatened and forced to flee the country. The brutality of the Babar case was highlighted during a discussion in London on Friday of CPJ's special report, Roots of Impunity, which examined the unsolved murders of 23 Pakistani journalists over the past decade. The discussion, at Chatham House, featured the report's author, Elizabeth Rubin, and the Pakistani author and CPJ board member, Ahmed Rashid. In Pakistan, the fear is such that journalists will not go on the record to speak about the MQM, Rubin said. She described a cycle of violence and impunity where journalists are targeted not only by militants, criminals, and warlords, but also by political, military, and intelligence operatives. 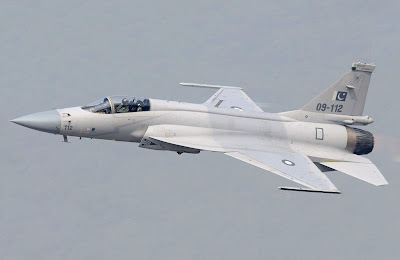 "They are caught in an undeclared war between the U.S. and Pakistan, or between the different factions in the country ... and until that is resolved, they will continue to pay," Rubin said. Hostilities against journalists are nothing new in Pakistan. Rashid described the journalist imprisonments of past generations as having evolved into the targeted killings of today. At the same time, a traditionally weak civil society has forced the media to take on a primary role in investigating and denouncing social ills and official misdeeds. Journalists "are bribed, cajoled, threatened and ultimately even killed," said Rashid, who noted that the "war on terror" has left Pakistani authorities free to act with impunity against the press. The root of the problem, Rashid said, is the government's dual policy of allowing the Taliban and other militant groups to operate freely even as they take part in international efforts to stem terrorism. This has given the Pakistani military and intelligence services an unlimited mandate with no accountability. The issue extends beyond Pakistan's borders. Hussain's speeches from London are broadcast in full throughout Pakistan, Rashid said, who expressed dismay at "the stunning silence of the British government" regarding the MQM's violent activities and its involvement in the killing of Babar. Days before he was killed in a drive-by shooting in Karachi, one of Pakistan's most feared men said he would rather see the city in ruin than give up control over his turf in the country's volatile commercial capital. Zafar Baloch, a notorious figure wielding enormous power in Karachi, was killed by a group of gunmen on motorbikes overnight in an attack that sent shock waves through the sprawling port city generating a quarter of Pakistan's economy. In a rare interview on September 5, Baloch, 46, spoke extensively about the psychology of gangland violence, offering a rare glimpse into the dark world of turf wars and extortion in Pakistan's troubled and ethnically diverse second city. Speaking to Reuters in Lyari, one of Karachi's most dangerous neighborhoods, he said he would not leave his turf despite continuous raids by police and attacks by rival gangs. "I once had 13 police raids in one day. I have bullet and grenade wounds in my leg," he said. "Thieves run away. I'll never run away from Lyari." A city of 18 million people, Karachi is home to Pakistan's main port, stock exchange and central bank. And yet it is one of the most violent places in the South Asian nation, torn apart by ethnic, political and sectarian tensions and gangland rivalries. Explosions and killings occur daily as political and militant groups battle for control with the Muttahida Qaumi Movement (MQM), the city's dominant political party. Karachi generates 25 percent of Pakistan's economy and presents a major challenge to Prime Minister Nawaz Sharif as he tries to bring law and order to the chaotic financial hub. In Lyari, a dense network of slums housing over a million people, criminal gangs operate freely, exerting total control over businesses and residents. Police almost never enter the neighborhood without permission from Baloch's men. Streets are busy, teeming with people and cars. Buildings and lampposts are adorned with posters of Baloch and his allies. Speaking to Reuters at a local football club, Baloch compared Karachi to a cake which attracted too many takers. "Right now we are sitting across the table watching the MQM eat the whole cake," Baloch said. "If this goes on, we will either ruin the cake for everyone or get our slice." A large and burly man, Baloch narrowly survived a grenade attack in 2011 and still had a cast on one leg when Reuters saw him. He walked with a walking cane until the day he was killed. Lyari's economically strategic location - enclosed on one side by the port and on the other by the city's biggest industrial area - has made it the hub of extortion, violent crime and drug barons. As many as 1,726 people were killed in Karachi in the first six months of this year, according to the Human Rights Commission of Pakistan. Mainstream political parties are accused of running armed groups that have carved up the city along ethnic lines into spheres of influence - a charge politicians deny. Baloch saw the MQM, backed by Karachi's Urdu-speaking community that returned after partition from India, as his main rival. "The problem is that the MQM thinks it has the biggest stake in Karachi," Baloch told Reuters. "Until the MQM learns to share, there will always be chaos." And yet he spoke passionately about Karachi, a city where had earned both fear and respect. "Karachi was born out of Lyari. It comes from right here. The people of Lyari gave birth to this city. How can we let it die?" he said. "Lyari is just a good town with a bad reputation. But its people will never let Karachi die." It will be interesting to note whether PPP-MQM have joined hands out of compulsion or will it really be a new journey, burying the bitter past. It looks difficult but it is the only option for peace in Sindh as well as its economic development. But one still has to wait and see the “written accord” between the two representative parties of Sindh. Both have supported the ongoing “operation” which will continue. Former President Asif Ali Zardari faced internal criticism and pressure when he informed his top leaders about seat adjustment with MQM in the Senate and also about the new accord. Mr Zardari, who is now tightening his grip on the party after reports that the party’s senior most leader, Makhdoom Amin Fahim, is not happy with some of the decisions he has taken. His absence from the Parliamentary Board’s meetings and not awarding a single ticket on Amin Fahim’s recommendations has raised many questions. Whether these differences are of serious nature or not but the fact remained that Bilawal Bhutto Zardari, for all practical purposes, is no longer chairman of the PPP. Mr. Zardari also knows that there still are strong reservations over this accord within PPP, Sindh, particularly at this crucial time. It is important for him to satisfy his leaders from interior Sindh as well as from Karachi. Rehman Malik, the man behind the new accord, does not enjoy support in the PPP, Sindh, yet this accord with MQM has added one more seat to the PPP tally, from six to seven in the senate elections, which is crucial as the party will hardly be getting any seat from other three province.Secondly, Mr Zardari also knows that he needs MQM to check the entry of PTI in Sindh. Thirdly, local bodies elections are also in his mind and that is why he is making new alliances in Sindh. MQM will be getting Karachi and Hyderabad while it will support PPP in interior Sindh. At the same time Mr Zardari needs to control his ministers and local leaders, as they will be facing tough questions from the media in the “talk shows.” He will be facing some problems in interior Sindh, as he not having the best of terms with his school-time friend, Dr Zulfiqar Mirza, these days. Mirza is also not happy with the arrest of Uzair Baluch in Dubai and his possible extradition to Pakistan. But, his main differences are not with Zardari but with his sister, Faryal Talpur.Sensing the possible dissent in the party, the PPP co-chairman will be making a few important decisions about his relations with Functional Muslim League and smaller groups. One of the crucial alliances, expected on Friday, will be Jatois joining hands with Zardari, bringing an end to the decades-old political rivalries. It will certainly change the political dynamics of Nawabshah. Omar Shahid Hamid started off as a cop, and his decision to become one was deeply personal: When he was still in his teens, his father, a senior civil servant in Pakistan, was assassinated. "In the subsequent police investigation," he tells me via email, "I saw close up the good and bad points of the police in a country like Pakistan, where, due to a lack of institutions, what individuals did, good or bad, had a much greater impact on people's lives, than say, a cop working in London or New York. I joined the police because I felt the potential difference I could make was substantial." Hamid went on to serve on Karachi's police force for 13 years. He's been on a sabbatical for the past four years, due to threats made against him by the Pakistani Taliban, and he's used those years to pen an exhilarating crime novel, The Prisoner, set in Karachi. Inspired by the real life kidnapping and killing of Wall Street Journal reporter Daniel Pearl in 2002, it centers on an American journalist who's gone missing, and the police and intelligence agencies who are trying desperately to find him as the Americans breathe down their necks. Hamid's portrayal of the city, the police, and the byzantine political play is nuanced and sophisticated. Karachi is Pakistan's largest and most vibrant city, and he lays it bare as only someone who has lived and worked there could. Hamid says the point of the book was "to portray an image of the police that was realistic. Are they corrupt? Yes often. Are they used as pawns in bigger political games? Absolutely. But despite all of these restrictions and impositions, are they ordinary people who sometimes do extraordinary things? Absolutely." The Prisoner contains some thinly veiled references to real people and political parties in Pakistan. You go to some lengths to explain their motivations and the moral ambiguities of their world, but you don't exactly flatter them, either. You were attacked on more than one occasion when you were in the police force — and yet you've chosen to write a book that has probably made no one happy. Why did you decide to do it? It was interesting that when the book came out in Pakistan, the reaction from many people was of amazement. There were people who, despite having lived in the city for years, had no inkling of the world that existed. So overall, the feedback I have received has been one of enlightenment. Many people also said it helped to give them a more nuanced view of the trials and tribulations of ordinary cops and why they sometimes have to do what they do. I decided to write the book because I felt that when I joined the police, the police was a body with so many fascinating stories, but no one to tell them, because the world of the police was very fraternal and tight, so outsiders had no ingress into the kinds of internal stories we possessed, while I, as an insider, had a unique perspective to share those stories with the outside world. I was particularly intrigued by your protagonist, Constantine D'Souza, who's a Christian. How did you choose him? Christians only make up a tiny percentage in what is an overwhelmingly Muslim country. I thought making one of the protagonists Christian would be an interesting plot line. In my time in the service, I knew several Christian police officers, and I found it fascinating to think about how they were perceived and how they perceived the culture of the society and the police. The most interesting insight was that Christians in the police did not necessarily come across as an oppressed minority. Occasionally, the question is raised if national integration has succeeded equally in the province of Sindh. In the past, Sindh often resisted the national government, but this resistance stemmed largely from Sindhis' opposition to military rule from Islamabad. Most recently, Sindh has shown two opposite trends: on the one hand, the PPP swept rural Sindh and brought it into the national mainstream, defusing past sentiment for Sindhi independence. On the other hand, the Muhajir Qaumi Movement (MQM) swept urban Sindh in those elections and continues to agitate against the established government. The MQM claims to represent the Muhajirs, those Muslims who immigrated to Pakistan from India since the time of partition in 1947. Arguing that the Muhajirs form a distinct ethnic group in Pakistan that had been denied its share of national economic opportunities, the MQM tragically opted out of the democratic process and resorted to extraconstitutional and violent means to achieve its objectives. It has shattered the peace of Karachi, Pakistan's largest city and one that absorbed much of the immigrant population in the past fifty years, through its compulsively violent tactics and the external assistance provided to it by a foreign power. The MQM, using a warped version of the ideology of Pakistan, recruited a significant number of malcontents into its clandestine army. The bulk of the Muhajir community, fortunately, kept itself away from this Nazi-style organization and showed a clear preference for democratic dialogue rather than terrorism. This factor has been instrumental in limiting terrorism only to some parts of Karachi. The Pakistan government has taken a two-fold approach to the MQM: it will combat MQM terrorism, and it will at the same time engage in a political dialogue with the MQM and implement vigorous social and economic measures for the uplift of Karachi. The city has grown much too fast for its civic and commercial institutions to keep pace with its expansion, and the government has therefore developed a master plan to redress this situation at every level, from improving mass transit to expanding adequate job opportunities. The threat posed by MQM terrorism would actually pose only a marginal problem were it not for the unfortunate fact that in South Asia, violent movements fall easy prey to external manipulation. At a time when most countries of the world are engaging in the formation of trading blocs within the parameters of a globalizing economy, South Asia continues to pay a heavy price for the old-fashioned hegemonic ambitions of the largest South Asian state. India's vaulting aspirations to project power in the region and beyond has affected South Asia at several levels. Precious resources needed for social action have been diverted to military expenditure. The region faces the most serious nuclear threat in the world today, aggravated by great advances made by India in missile technology. Above all, not a single state in South Asia has escaped gross interference in its internal affairs. Even the smallest of states, which pose no conceivable threat to their great neighbor, have seen this interference plunge them into long periods of internal turmoil. It is unfortunate that India did not resist the temptation to contribute support to MQM terrorism; at a number of locations in India, scores of MQM activists continue to be transformed into terrorists. South Asia will have a bleak future if such cross-border interference, masterminded by overgrown intelligence services, continues. The political process will resolve the MQM problem in Karachi, and Indian interference will result only in injecting avoidable tension into interstate relations. I regard the Congress and the BJP as criminal organizations. In 1984 that criminal gangster Indira Gandhi, who imposed a fake ' Emergency' in 1975 in India in order to hold on to power after she had been declared guilty of corrupt election practices by the Allahabad High Court, an ' Emergency' in which even the right to life was suspended, and lacs of Indians were falsely imprisoned, was assassinated. As a reaction,the Congress Party led by Rajiv Gandhi organized a slaughter of thousands of innocent Sikhs, many of whom were burnt alive by pouring petrol or kerosene on them and setting them on fire. When there were protests against this horrendous crime, Rajiv Gandhi said ' jab bada ped girta hai, dharti hil jaati hai' ( when a big tree falls, the earth shakes ). It is believed that he gave oral instructions to the police not to interfere with the massacres for 3 days ( see my blog ' The Sikh riots of 1984 ' on justice.blogspot.in ).. Soon after these horrible massacres, elections to the Lok Sabha was declared, and Congress swept the polls on this emotional wave winning a record 404seats in the 532 seat Lok Sabha, while BJP won only 2 seats. In 2002 the massacre of Muslims was organized in Gujarat by BJP led by our friend ( see my blog ' All the Perfumes of Arabia ), and the result was that BJP has been regularly winning the Gujarat elections ever since, and has even won the Lok Sabha elections in 2014. So the message which has been sent is loud and clear : organize massacre of some minority in India, and you will sweep the polls. Never mind how much misery you cause to many people. Are not the Congress and BJP, and even many smaller political parties, which are responsible for horrible deeds and for systematically looting the country of a huge amount of money for decades, and for causing such terrible sufferings and misery to the people, criminal organizations, most of whose members deserve the gallows ? Paramilitary troops have become ubiquitous around this sprawling Pakistani port city. They watch over police officers at traffic circles, their convoys patrol thoroughfares, their raids drive daily headlines. After years of crime and militancy that had made Karachi a byword for violence, an extended operation by the paramilitary force — the Sindh Rangers, who are ultimately answerable to the powerful Pakistani military command — has been working. Officials and residents report that crime is notably down across the city. But in the name of security, the force in recent months has also begun upending the city’s political order. The crackdown has expanded to target two powerful political parties that have long been at odds with the military establishment. And it has left a broad trail of human rights violations — including accusations of extrajudicial killings, in which officers shoot suspects after taking them into unlawful detention, according to rights advocates and members of those parties. The crackdown, which began two years ago, was initially limited to the slums and outskirts of the city, where Taliban militants and gangsters wielded influence. But this year, the military ordered that the dragnet be thrown wider, especially targeting the Muttahida Qaumi Movement, or M.Q.M. The political party has controlled the city for decades through the powerful combination of a large ethnic support base, political acumen and armed gangs. And in August, the Sindh Rangers arrested and brought charges of financing terrorism against Dr. Asim Hussain, a close aide to former President Asif Ali Zardari, who heads the Pakistan Peoples Party, or P.P.P. Several top leaders of the party, which in addition to its national profile controls the government of surrounding Sindh Province, have left the country, fearing arrest. The leaders of both the parties say they are being targeted for political reasons and accuse the Rangers, and their military masters, of overstepping their mandate and meddling in civilian politics. Interviews with the police and paramilitary officials and political leaders reveal that even among those who support the military, there is a growing sense that the country’s generals have made a concerted decision to wrest Karachi from the M.Q.M.’s control. Some analysts believe the politician Imran Khan and his party, Pakistan Tehreek-e-Insaf, have the most potential of any group to cut into the M.Q.M.’s influence in Karachi, especially given the widespread image of the party as being acceptable to the military. But Talat Aslam, a senior editor at The News International in Karachi, said that Mr. Khan’s party, known as P.T.I., had not yet had much electoral success in the city and that at times it had misplayed its hand here. “Very often, the P.T.I. gives the impression of being a force of outsiders that could arrive out of the blue to ‘liberate’ the captive and enslaved Mohajirs from the M.Q.M., which rules over them by force alone — a description that does not always go down well with the electorate,” Mr. Aslam said. Political observers say the most likely consequence of the continuing paramilitary crackdown will be that no single political party will now be able to control the city. But for some here, particularly within the business sector, the improvement in overall violence has been worth the political upheaval. UK police documents obtained by the BBC list more than 70 London bank accounts related to a Pakistani party being investigated for money-laundering. Scotland Yard has declined to comment on the documents. The UK's Crown Prosecution Service is already considering whether leading MQM officials should be charged with money-laundering offences but police say that does not stop them making further inquiries. "The investigation continues and any further relevant information would be discussed with the CPS," said a spokesperson at Scotland Yard. The British police team in Pakistan was also seeking to advance a separate investigation into the 2010 murder in north London of a senior MQM leader, Imran Farooq. Three suspects in the case are being held in Pakistan. The UK police want to extradite one of the three - Mohsin Ali Syed - who they claim was present at the scene of the killing. Pakistan is insisting that either all three should be extradited - or none at all. The MQM denies any wrongdoing and insists that all the allegations made against it are false. The British judiciary has been highly critical of the MQM. Back in 2011 a British judge adjudicating an asylum appeal case found that "the MQM has killed over 200 police officers who have stood up against them in Karachi". During their investigation into the murder of Mr Farooq the police found £167,525.92 (about $235,000) in the MQM's offices in London and a further £289,785.32 in Mr Hussain's home in Edgware, north London. Previous investigations in London uncovered a list in Mr Hussain's home itemising weapons, including mortars, grenades and bomb-making equipment. The list included prices for the weapons. The Scotland Yard documents include a number of other British requests for assistance from their Pakistani counterparts. The British asked for information about cash and weapons found at the MQM's Karachi headquarters. They also asked for official confirmation of Pakistani media reports that the MQM was involved in extortion in Karachi. FOR decades the fleshy features of Altaf Hussain have glowered over Karachi. The leader of the mighty Muttahida Qaumi Movement (MQM) may have fled to London 25 years ago, but his image remains plastered on the streets of the city he controls. But it is becoming harder to find the posters and party flags that once fluttered from every streetlight. Mr Hussain has gradually been losing sway over Pakistan’s largest city to the Rangers, a notionally civilian security force under the control of the army. In 2013 the government ordered the Rangers to rid Karachi of Islamist militants and criminal gangs. Last year they turned their attention to the MQM, a party successive governments have accused of deep involvement in Karachi’s criminal economy. Although it is ostensibly a relatively liberal and staunchly anti-Islamist political outfit, the authorities claim it runs a shadow organisation of extortionists and kidnappers. As evidence of the party’s unsavoury side, the Rangers point to weapons they discovered when they raided its “Nine Zero” headquarters last year. This week Mr Hussain was at it again, with a speech in which he railed against television stations that had denied him coverage. One person was killed and several were injured when angry supporters ransacked the offices of two media companies. In response, the Rangers arrested senior MQM officials and shut Nine Zero. The police lodged a treason case against Mr Hussain, who had described Pakistan as a “cancer” in his speech. The interior minister complained to the British government about the conduct of Mr Hussain, who became a British citizen after fleeing an earlier crackdown on the MQM. Mr Hussain issued a fulsome apology and said he had been under “immense mental stress”. It was not enough to avoid an unprecedented rebuke from Farooq Sattar, the MQM’s leader in Pakistan. All future decisions will be taken by the party’s leadership in Pakistan, he said, not from London. Mr Hussain appears to be acquiescing to this demotion: he has issued a statement promising to hand over “complete power”. Sceptics say Mr Hussain will never willingly relinquish his grip. He stepped aside once before, in 1992, only to re-assert himself a few months later. But a comeback will be harder this time. The battering the Rangers have given the party’s heavies has greatly diminished his clout. His regular demands for citywide strikes used to turn Karachi into a ghost town. Shops now stay open, for the most part. Yet the MQM’s local leadership will not want to cut all ties to Mr Hussain. He is the most charismatic figure in a party increasingly challenged by rivals, including the splinter Pakistan Sarzameen Party, which was set up by a former MQM mayor in March with, many believe, the support of the security services. How is 64-Year-Old Pakistan Doing?